Here is a tasty dish, made of minced meat (mutton / lamb) with green peas! This is a best accompaniment for roti and rice. Try it out and enjoy! Grind ginger, garlic, green chillies, cinnamon, cloves and cardamom with little water to fine paste. keep aside. Heat oil in a Pressure cooker; add bay leaf and finely chopped onion. Saute for a while till the colour changes and then add the grounded paste. Now add the spice powders and keep frying till the raw smell goes. Then add minced meat, peas and mix with 1½ cup of water. Close the cooker with the lid. After the first whistle, simmer for 10 minutes and switch off the gas. 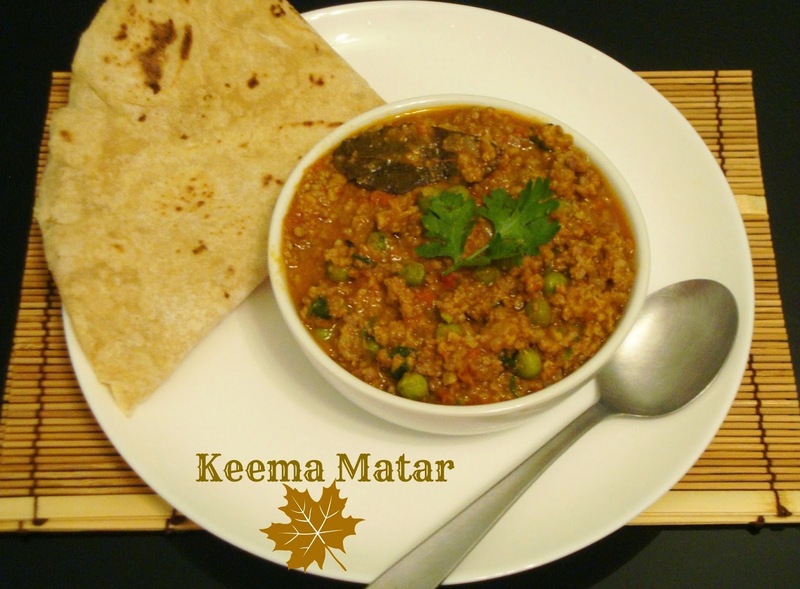 Beautiful presentation , and tempting..
Love this keema mattar with rotis, soo tempting. Thank you for what you have shared with us this detailed recipe and added a lot of photos.